Keeping your skin (your body’s largest organ) healthy is important for many reasons. It protects you from the outside world by blocking anything that might hurt you. The cells of your skin are always growing and dying and is affected by every aspect of your life, from what you eat, how you take care of it, and what you expose it to. Keeping your skin healthy will keep you looking younger and help maintain an overall healthy lifestyle. 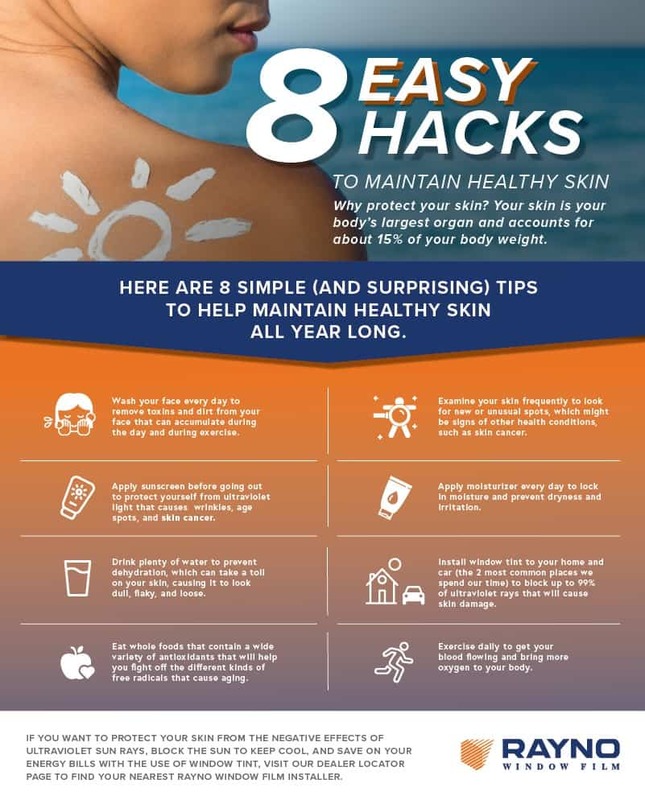 That’s why we are celebrating National Healthy Skin Month during the month of November to highlight the importance of keeping your skin healthy. Wash your face every day to remove toxins and dirt from your face that can accumulate during the day and during exercise. Examine your skin frequently to look for new or unusual spots, which might be signs of other health conditions, such as skin cancer. Apply sunscreen before going out to protect yourself from ultraviolet light that causes wrinkles, age spots, and skin cancer. 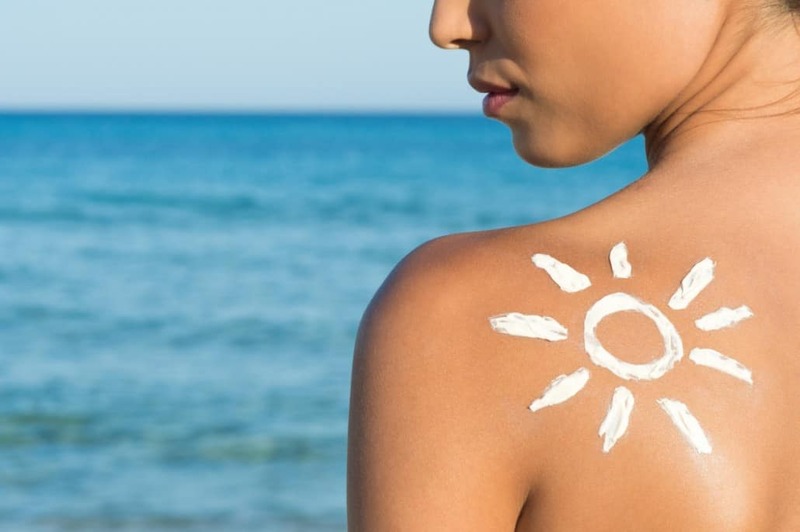 When it comes to choosing the right sunscreen, it is recommended by the American Academy of Dermatology to wear a broad-spectrum sunscreen. Pick ones that contain at least SPF 30, are water resistant, non-comedogenic and fragrance-free. 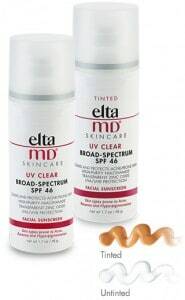 Sunscreens such as Elta MD UV Clear Broad-Spectrum SPF 46 and Vanicream SPF 50 Sunscreen are great options. They will not clog your pores or break out your skin even if you use it as part of daily skin care routine and reapply every two hours as recommended. Apply moisturizer every day to lock in moisture and prevent dryness and irritation. Install window tint to your home and car (the 2 most common places we spend our time) to block up to 99% of ultraviolet rays that will cause skin damage. Drink plenty of water to prevent dehydration, which can take a toll on your skin, causing it to look dull, flaky, and loose. Exercise daily to get your blood flowing and bring more oxygen to your body. Eat whole foods that contain a wide variety of antioxidants that will help you fight off the different kinds of free radicals that cause aging. If you want to protect your skin from the negative effects of ultraviolet sun rays, block the sun to keep cool, and save on your energy bills with the use of window tint, please visit our Dealer Locator page to find your nearest Rayno Window Film installer. As an Amazon Associate I earn from qualifying purchases. How Does Window Tint Reduce Heat Inside Our Cars?